GDPR is a regulation that requires businesses to protect the personal data and privacy of EU citizens for transactions that occur within EU member states. And non-compliance could cost companies up to $20 million or 4% of global revenue. Websites that collect data on citizens in European Union (EU) countries will need to comply with strict new rules around protecting customer data by May 25, 2018. Being GDPR Compliant or your business will be at risk. 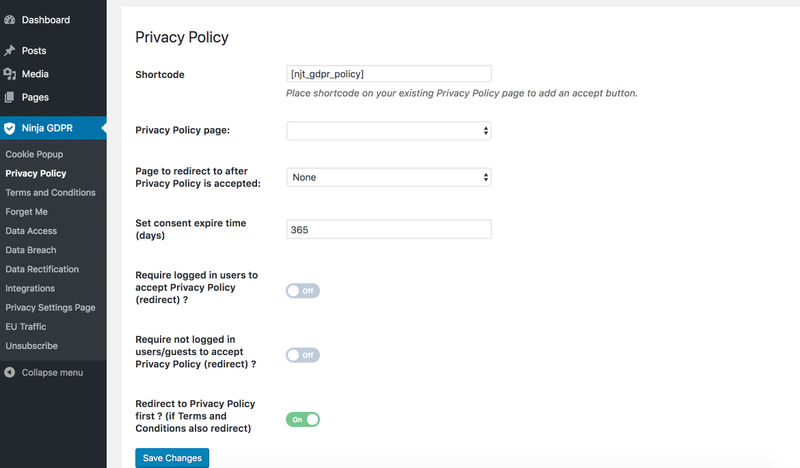 That’s why Ninja GDPR Compliance 2019 WordPress Plugin was born to give you the best solution regarding this new law for your site. Why you need GDPR Compliance? If you run a WordPress website and EU visitors can access, your site needs to be GDPR compliant. 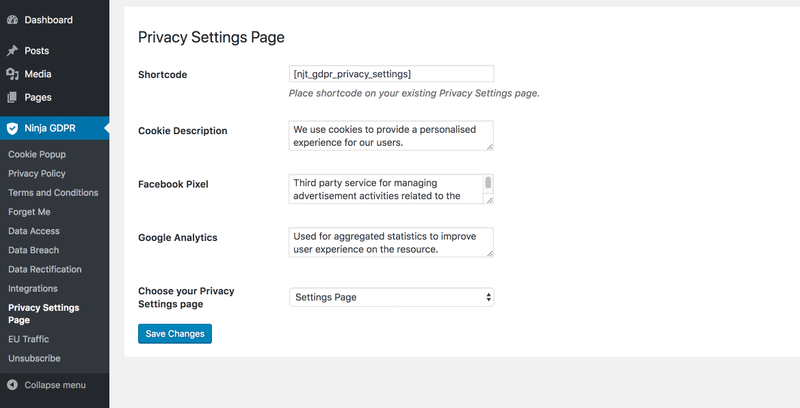 If you take advantages in using cookie, or other tracking integrations like Facebook pixels or Google Analytics, etc. If you use forms like Contact 7 to collect user’s data, you need GDPR compliance. If you use MailChimp or other addon to save users’ data, you need this GDPR compliance. If you use any communication service like live chat or support help desk for your site visitors, you need this compliance. If your want your business to be secured and trusted and you just need to focus on working and being prospered. It doesn’t whether you sell on your website or not, or even if you don’t collect any data. If you have cookies and other features enabled on your site you will be liable for GDPR. Are you tracking your users on your website? Do you have Facebook pixel or track your users in other ways? Do EU visitors come to your site and they interact with your articles, leave comments etc? Do you store personal data? 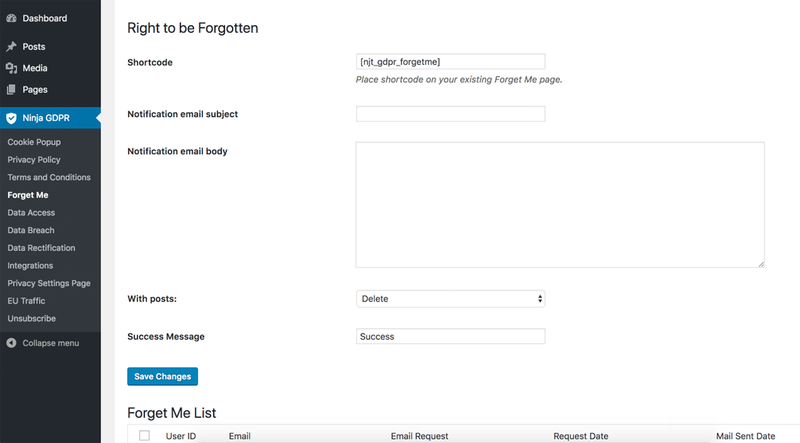 Does your site have forms that let people create accounts on your site or share their emails or contact details? Are you tracking traffic of your site? Collecting people’s name and email? Do you use Google Analytics or anything else to store personal data for statistics purposes? Informs users about cookie use and gets their consent. 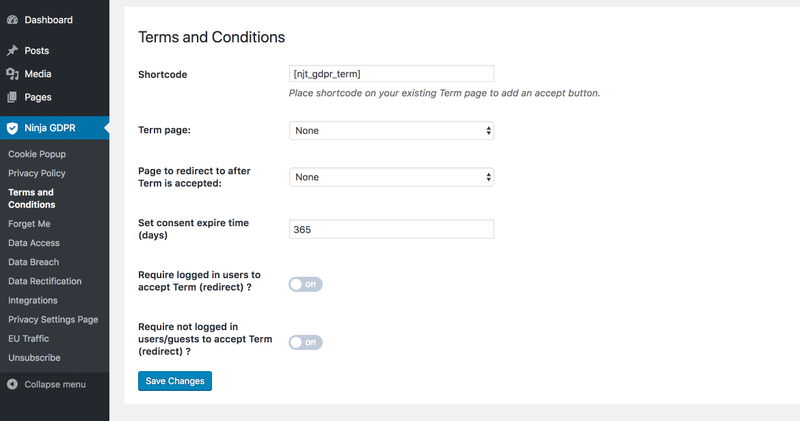 Take users automatically to your Term & Conditions Page and gets their consent. 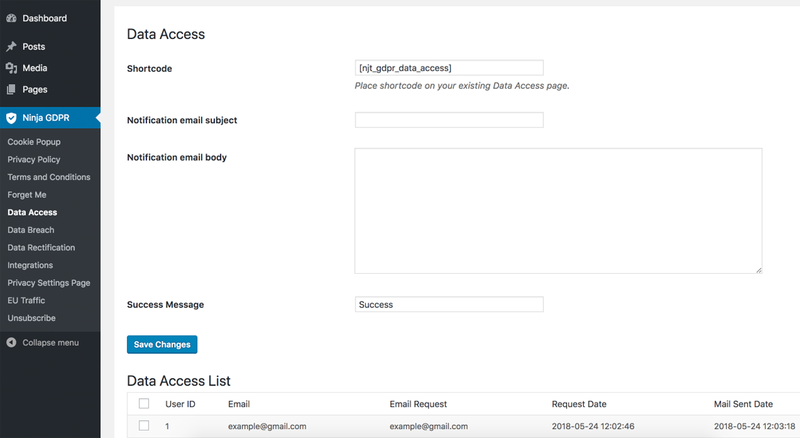 Collect Data access requests and automatically inform admin. 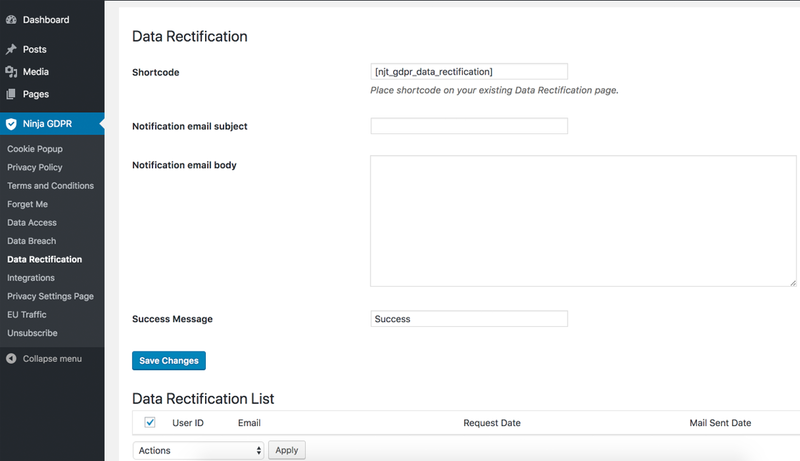 Create a form for users to request for their stored data to be deleted and automatically notify website admin. Allow users to request their stored data to be rectified. Notify data breach to all users as required by law. 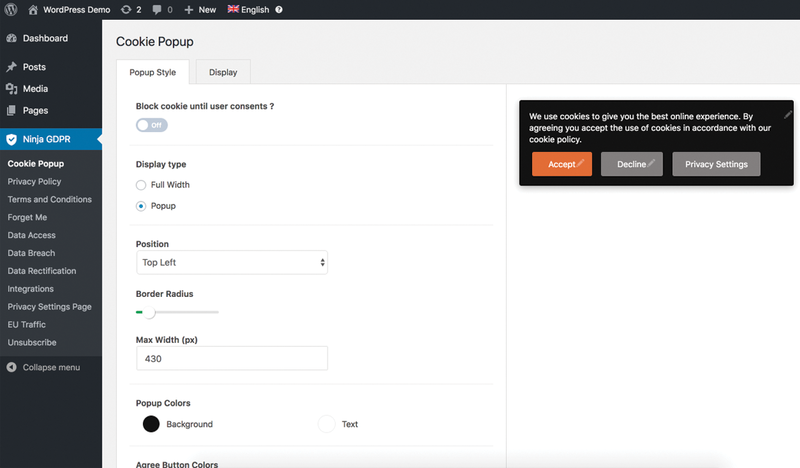 Now you can display Cookie Popup for EU countries users only or refuse them. Q. Will this work for WordPress site only? A. Yes, It is plugin for WordPress. As long as you can install plugins, it should work. Q. Will it work with future versions of WordPress? A. Yes, like we said, we will keep updated it as situation changes and you will get FREE upgrades lifetime. Q. Do I have to be technical to use this? A. No, you don’t. You just need install and use it. It’s made to be simple and easy to use. Q. Will it be improved? A. Yes, we will update it as much as required and you will get FREE upgrades lifetime. Definitely yes! As long as you know enough WordPress to install a plugin you can do this. No need to hire a technical staff.